Great West Virginia Made gifts for anyone on your list, any time of year! 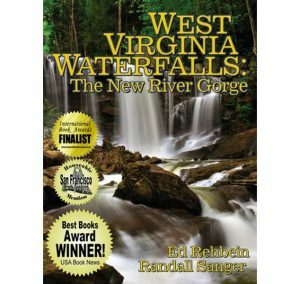 West Virginia Waterfalls: If you’ve ever traveled the scenic byways of West Virginia, you’ve probably seen the natural beauty of the many waterfalls dotting the landscape. The Mountain State offers over one hundred spectacular waterfalls, and many of them are highlighted in a wonderful guide and picture book called West Virginia Waterfalls: The New River Gorge. Jointly written by photographers Ed Rehbein and Randall Sanger, this coffee table style book is the perfect gift for anyone who loves the state. It’s 112 pages chock full of color photographs and descriptions of the waterfalls, along with 16 pull out maps and guides to help you find them on your travels. You can order it directly from the website linked above. Ideal for nature lovers, hikers, outdoorsmen, or anyone who enjoys getting out and seeing the sites! One of eight offerings in the product line, Zest Sauce is a uniquely delicious flavoring and marinade sauce made from a mix of wine, tomatoes, mustard, red wine vinegar, and spices. It’s perfect as a slow cooker marinade or to add some “zest” to soups, stews, pasta salad, and more. The Ramp Dressing is a light vinaigrette infused with the flavor of ramps and will be appreciated by any West Virginian or anyone who loves the state and its cuisine. 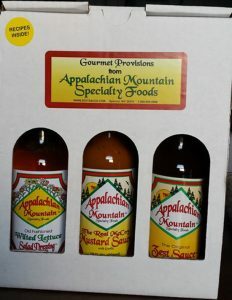 Appalachian Mountain Specialty Foods distributes their products to retail locations all across the state (there’s a handy list at their website) and sells directly online. Be sure to check out the attractive gift boxes like the one pictured … you or that lucky someone can enjoy a nice sampling of their products! The product line of Frooper’s Gourmet Central is something to behold. They produce over 100 unique products in a wide variety of cateogries … here are just a few of them: Jams, Jellies, Hot Sauces, Barbecue Sauces, Syrups, Salsa, and Condiments. At their site, you can see the entire product line and buy at their online store. 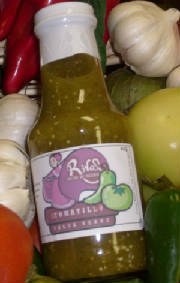 Worth seeking out is their special blend hot sauce called Hillbilly Holer’n Hot Sauce (pictured). Try it in stews, on fish sandwiches, or any rice based dish – fantastic! They’re Mountaineer Brand, a business started in 2013 that’s based in Shepherdstown along the Potomac River. The company’s specialty are all natural beard care and shaving products for me who want something a little bit better than the usual mass produced items. 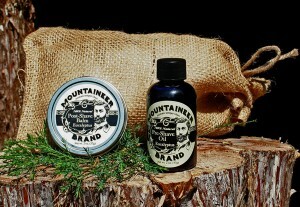 Mountaineer’s website showcases their complete line of products, and you can also buy them there, including gift sets and combination packages. Beard oil, washes, shampoos, and grooming tools are among the many items you’ll see, along with shaving soaps, lip balm, and hand & body care products. If you’ve got a guy who’s hard to buy for, rest assured you’ll find something he’ll appreciate here! 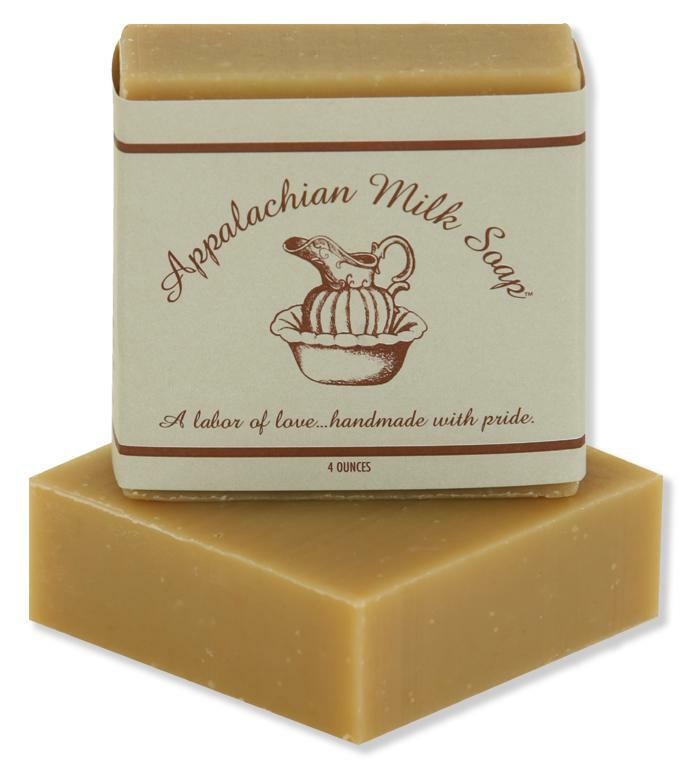 Appalachian Milk Soap: This handmade soap and body care products company is based in Hamlin, WV, a small community west of Charleston and not far from the Ohio and Kentucky borders. Their pride and joy is their goat milk soaps, made by owner Susan Jacks and her staff. 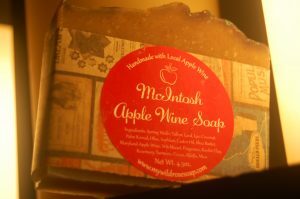 Goat milk soap, in case you’ve never tried it, is exceptionally good for your skin due to the higher fat content of goat milk. The business is also known for their related bath and personal care products, like their “Skeetergon” bug repellant which contains citronella, sweet orange and clove leaf essential oils and no DEET. It’s safe to use anywhere on your skin, keeps pesky mosquitoes away, and smells good too! Visit the Appalachian Milk Soap website – handmade soap makes a wonderful personal gift! 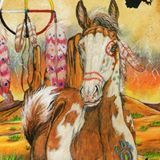 They’re 35th Star Publishing and they focus on titles from independent local authors who are often overlooked by large publishing houses. Specializing in non fiction, 35th Star offers a selection of titles about Appalachia and more specifically, The Mountain State. Publishing arrangements are very author friendly, and for the consumer, you can buy titles direct from their site via PayPal. They’re active at the West Virginia Book Festival and new titles are added to their website on an ongoing basis. If you’re looking for a literary gift from the state, look no further than 35th Star! Indian Water Maple Syrup: We bet you didn’t know maple syrup is being made in West Virginia! Well, it’s true … since 1987, Indian Water Maple Company has been making maple syrup and just recently started offering their syrup for sale online via their website. A true Made in West Virginia gift idea! 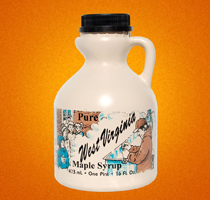 Visit their site to see the different sizes and varieties of maple syrup available … enjoy! Saseen’s Famous House Dressing: We love nosing around local grocery stores whenever we travel in hopes of finding a local gem. 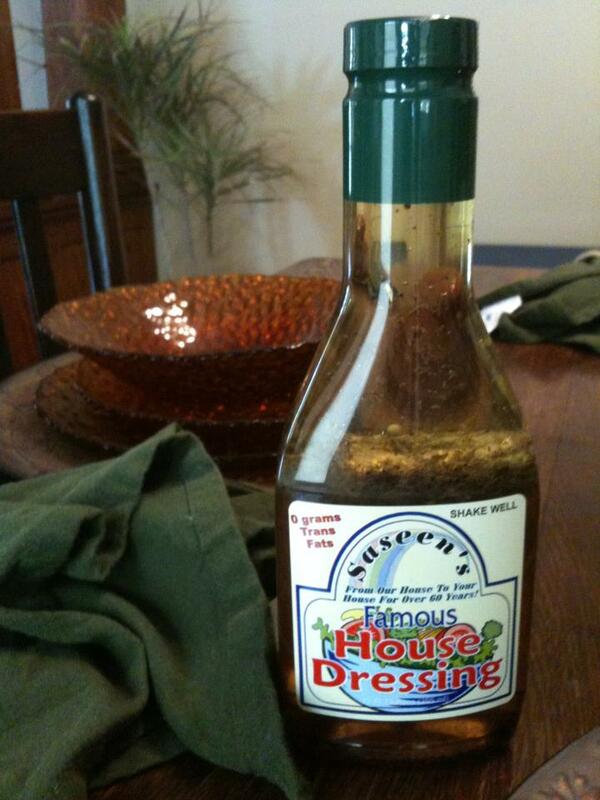 If you ever find yourself at a food store in or near Wheeling, look for this wonderful sweet and tangy salad dressing – it’s fantastic! It’s great on any type of fresh greens and also as a marinade. The sweet and sour taste is one of a kind! We found an online store selling Saseen’s Dressing here. Enjoy! T & L Hot Dogs: Ok, so what exactly is a West Virginia style hot dog? Well, it’s pretty simple actually, but the end result is extraordinary! It begins with a steamed bun, and on top is placed a hot dog (grilled or steamed), sweet creamy coleslaw, chopped onions, mustard, and hot dog sauce. Variations are offered all across the state … some without coleslaw (depending where you’re at). But the key ingredient is the chili sauce, or hot dog sauce as it’s commonly called. Best described as a thin consistency chili, this sauce is the essence of the West Virginia hot dog. One of our favorite places to pick up a few of these tasty creations is at T & L Hot Dogs, who have a handful of locations in the north part of the state. They actually sell their chili hot dog sauce online at their site in one or two pound insulated packages and ship it all over the country (get the two pound – you’ll love it and it’s a better deal). Also at their site, you can check out the menu and see their locations. We visited them in Clarksburg – they’re also in Bridgeport and elsewhere. Try their milk shakes too! For something unique from The Mountain State, check out The Marble King! 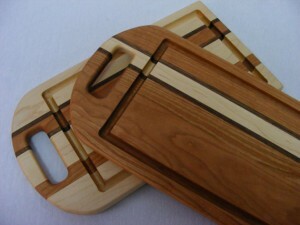 You can see many of Paul’s Specialties at his Etsy Shop. Shipping is free within the U.S.! 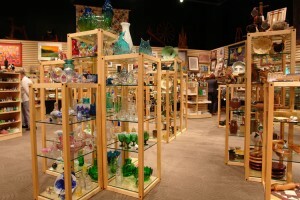 The company produces a wide range of glass products for decorative and functional use as well as architectural projects. 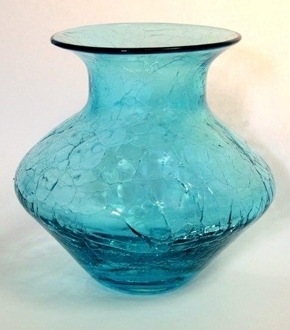 Their home ware pieces are routinely prized as beloved family heirlooms and are treasured by collectors worldwide. If you’re looking for a genuine made in West Virginia gift that will be treasured for years and years, look no further than something special from Blenko Glass! Founded in 1985, the company also caters to corporate clients and can label your chocolate themed gifts for your prized customers and most important clients. You can also order many of their delicious masterpieces at the DeFluri’s online store as a wonderful made in West Virginia gift. 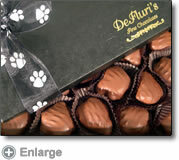 We especially like their “Puppy Paws” (pictured), made with pecans, premium chocolate, and the finest caramel cream. Guaranteed to please! 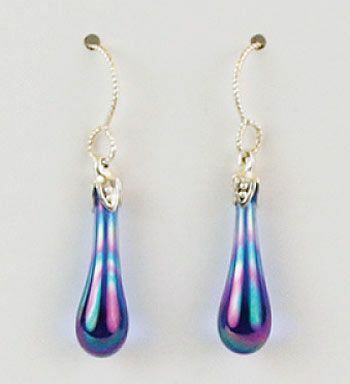 At their online store, you can browse through some of their current offerings for either yourself or as a gift. 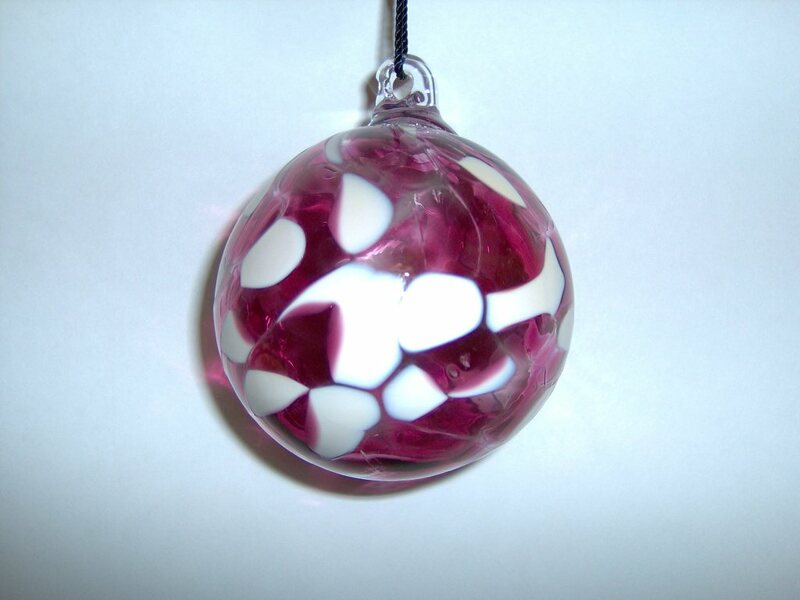 Expertly made by their local glass works craftsmen, these pieces will be treasured by your family. Click through to see all their titles. Every state should be home to a store like this! West Virginia Living: We truly enjoy state themed magazines, and every time we travel to a new state we try to get a copy in advance to help us get the lay of the land. 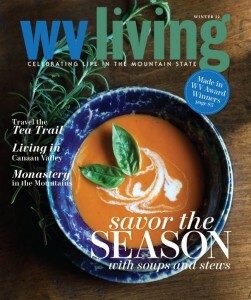 In West Virginia, the best publication to seek out is WV Living, a fantastic easy reading and enjoyable reference published quarterly. Each issue contains interesting stories and features about The Mountain State and its people, perfect whether you’re a first time visitor or long time resident. You’ll find beautiful photos from around the state and spotlights on events, specialty food and local recipes, things to do, the art and culture scene, and much more. 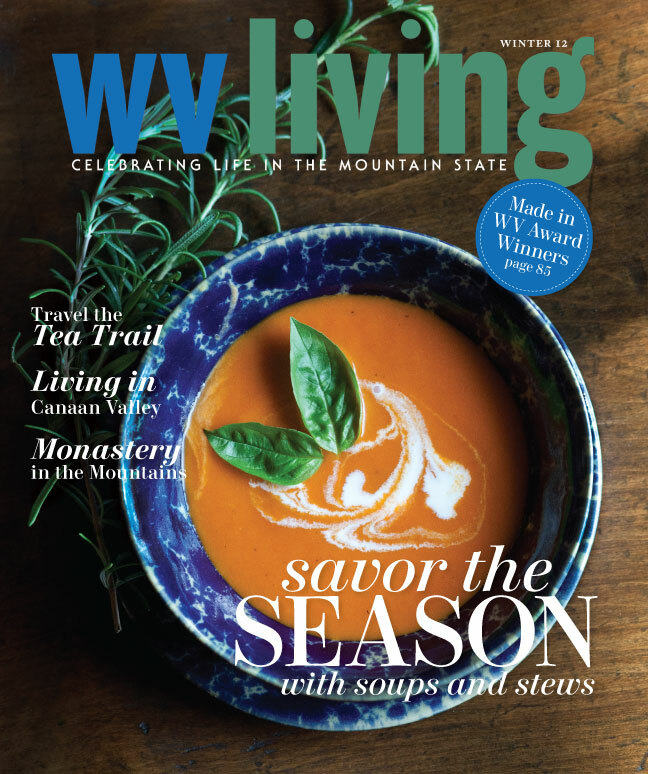 You can order a yearly subscription online for yourself or as a gift, and as an added bonus, each subscription includes a complimentary copy of their WV Living outdoors issue, published every fall. For a casual inexpensive meal that’s truly Huntington, stop at Stewart’s Hot Dogs, a small drive in on 5th Avenue that’s been around since the 1930’s. As the name implies, they’re famous for their hot dogs. Among other things, they’re also known for their chili, hamburgers, grilled chicken sandwiches, & more. We visited here not long ago and had a fantastic lunch! Stewart’s ships their hot dogs anywhere in the country for folks longing for their distinctive flavor or for hot dog fans who’ve never tried them. 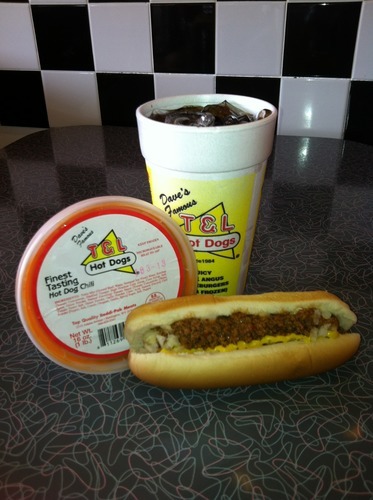 They’re typically served “West Virginia Style” with hot dog sauce, mustard, and chopped onions. 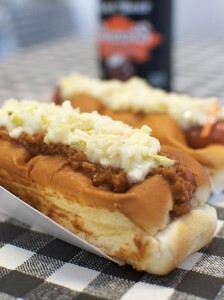 Try a Slaw Dog with creamy cole slaw on top. We loved them! 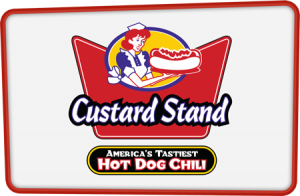 Click through to their website to learn more and to place your order for hot dogs and cool Stewart’s logo wearables. 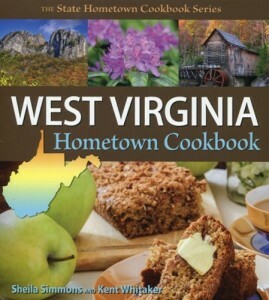 Get a real taste of The Mountain State and show off your WV Pride! 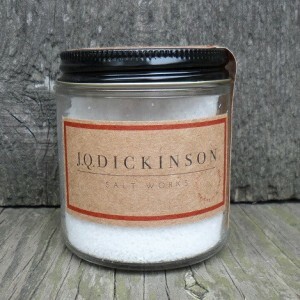 J. Q. Dickinson Salt has garnered many glowing reviews from executive chefs across the country as well as those using the salts in their own kitchen. At their website, you can choose from various sizes of packages, including clever gift sets and cases of small 3.5 ounce jars just perfect for gift giving! Fiesta Dinnerware: Did you know the famous Fiesta Dinnerware is made in West Virginia? Created by the Homer Laughlin China Company of Newell, WV these colorful dinnerware sets have been an American tradition since being introduced in 1936. The Fiesta line actually has an interesting history … when it was introduced in the 1930’s the colors and design reflected the popularity of Art Deco. In the early 1970’s, the line was discontinued due to changing styles although it remained highly popular with collectors. You’ll find Fiesta dinnerware at many stores across the country but if you’re looking for a certain piece, you can order it directly at their online store. 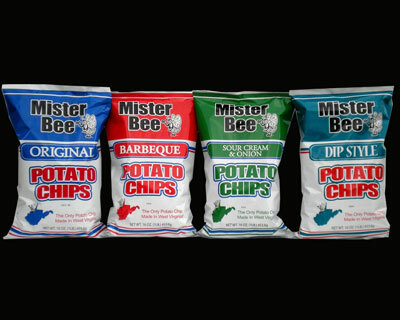 An American icon, directly from The Mountain State! 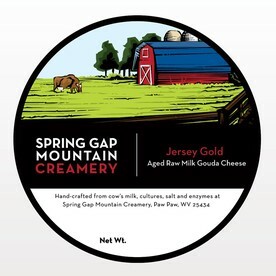 Spring Gap Mountain offers several different cheese varieties, four of which you can purchase online. The four are Farmhouse Feta, Jersey Gold Gouda, Shenandoah Sunrise Tomme, and Sophie’s Select Cheddar. The cheddar is named for the owner’s dog, and the cheddar is her favorite! The Shenandoah Sunrise is their most popular, a French farmstead style cheese that offers a tangy finish and pairs well with fruit. Sounds great for a warm summer day! 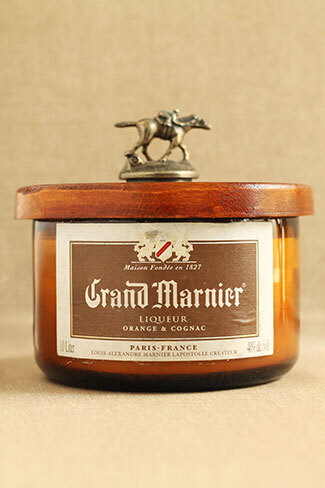 After hand cutting the bottle, it is polished to a smooth finish and poured with clean burning soy wax. The candles are then fitted with a handmade wooden lid crafted from local barn wood which are hand stained with an oil finish. The type of wood varies from cypress to mahogany to chestnut, oak, poplar, or walnut. The end result is as much a work of art as a candle! Original works from a local artist are one of the best mementos you can acquire as a special memory of an area you’ve visited. We were inspired by a couple we knew who decorated their home exclusively with various pieces of artwork purchased from places they’ve seen on their travels. It’s a lasting personal statement as well as a wonderful conversation starter! Check out the descriptions of all the different salsas at their online store, where you can also order a bottle or two or more to be shipped to your doorstep or as a gift. Enjoy the spicy flavor of West Virginia! The Greenbrier: Known as “America’s Resort”, The Greenbrier has been hosting guests from around the world since 1778. Located in the heart of the Allegheny Mountains in White Sulpher Springs, the resort features over 700 rooms, a world class golf course, casino, five star spa, fine dining, and more. We sincerely hope your travels take you to The Greenbrier. It’s an American treasure! 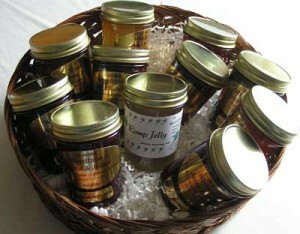 In addition to ramp jelly, Woodbine Jams and Jellies uses locally picked fruit to make a wide spectrum of tasty spreads. Flavors like blackberry, raspberry, strawberry, crab apple, and plum are just several of the varieties you can purchase at their website. We’ve never tried the ramp jelly so we can’t really comment, but it’s said to be quite tasty when spread on crusty bread or anything grilled, like pork or chicken. 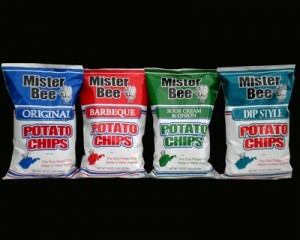 Regardless, it’s a true taste of West Virginia and hard to find online! Click through to the Woodbine Jams and Jellies site to order, and experience this unique taste of The Mountain State! 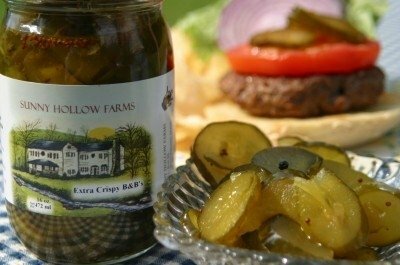 Sunny Hollow Farms offers everything from dip and dressings to canned specialties to sauces and mustard. If you’re looking for something authentically West Virginia, check out their Country Barbecue Sauce or their Raspberry Honey Mustard. They also offer a variety of pickles and a great sandwich addition called Candied Hot Pepper Chow Chow. Like a relish, chow chow is used on hamburgers, hot dogs, or in your tuna or potato salad recipe. It adds a nice zip and is great as an appetizer! Figaretti Pasta Sauce: Figaretti’s Restaurant has been a Wheeling mainstay since the late 1940’s, known for its warm family atmosphere and freshly prepared Italian style food at reasonable prices. It all started with the sauce! You can find the sauce in gourmet stores in Wheeling and western Ohio, or you can order a four pack or more directly at their online sauce store. A great gift from Wheeling! 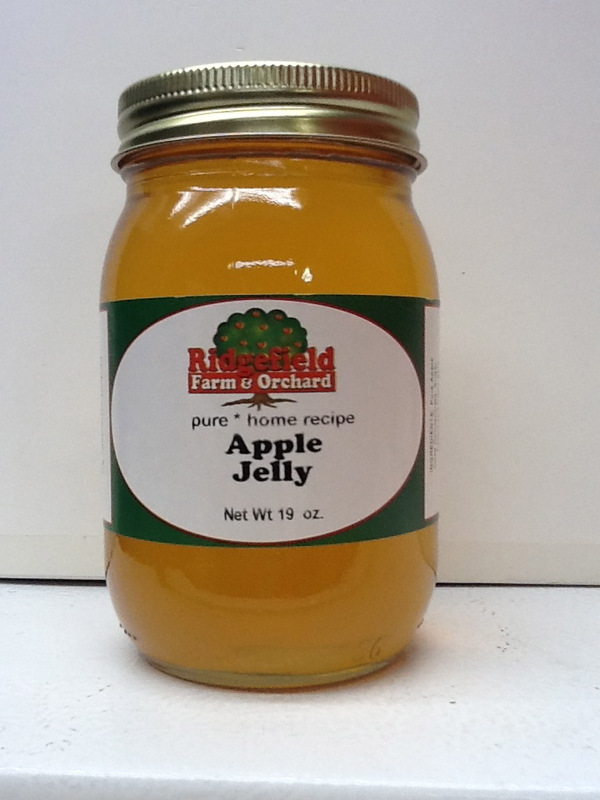 Among the several apple based products you’ll find are apple butter, apple jelly, and apple butter barbecue sauce. The farm also offers preserves like blackberry, strawberry raspberry, and strawberry rhubarb. 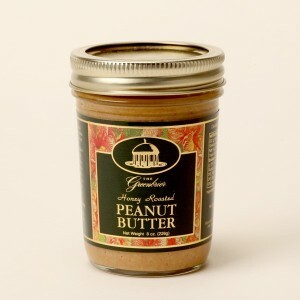 We’re partial to their pumpkin butter – a real treat any time of the year! Truffles, caramels, nut specialties, and light and dark chocolate are Holl’s best sellers. At the Holl’s website, you’ll also find boxed collections, seasonal specialties, dessert sauces, and more. Don’t worry about ordering during the warmer months, as Holl’s offers guaranteed hot weather shipping! Holl’s is the number one name in authentic artisan chocolates in West Virginia. 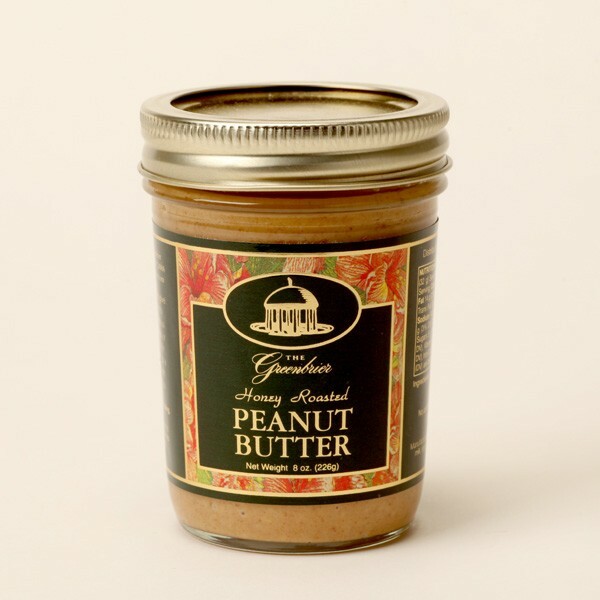 A great gift for the West Virginian on your list, they’re absolutely something you must try for yourself as well! 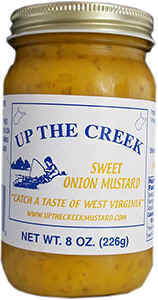 At the Up The Creek Mustard website, you’ll find some great recipes, including one for a West Virginia Style Hot Dog using their Hot Dog Sauce. Over Memorial Day weekend we made West Virginia style hot dogs for some fellow Chicagoans. In a nutshell, a steamed hot dog is topped with cole slaw and chopped onions with Up The Creek mustard and hot dog sauce added. Chicago guys are notoriously stubborn about how their hot dogs are served … but we were all converts! The cole slaw, Up the Creek Hot Dog Sauce and Sweet Onion Mustard, and chopped onions meld together beautifully – try one for yourself – you’ll love it! As their slogan says, “Catch A Taste Of West Virginia”! Best of all, it’s not required that you live near Martinsburg to enjoy fresh products from their farm. You can order gift packages for yourself or as gifts and have them sent anywhere in the country. 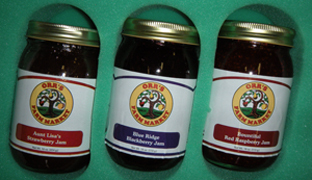 Orr’s ships fresh apples during season, as well as packages of homemade jams, baking mixes, and their famous Harvest Pear and Apple Raisin Walnut cakes. If you’re not located near The Mountain State, the chili is available for purchase online. 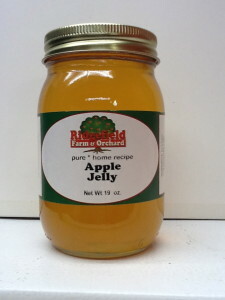 You can have it shipped in single serving containers or more economical five gallon tubs. If you like a good chili dog like we do, try this stuff! Add a little mustard and some freshly chopped sweet onions and you’re all set! It has been fascinating in our travels to discover wonderful Italian style food specialties in other parts of the country. 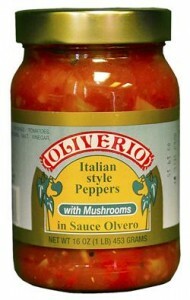 If these types of products are of interest to you as they are to us, be sure to try the products from Oliverio Italian Style Peppers of Clarksburg, WV. The roots of the business stretch back to the 1930’s, and this family owned and operated business has been packing peppers for the public to enjoy since 1972. Their range of products include peppers in sauce, pepper mixes packed in vinegar, and pizza and pasta sauces. 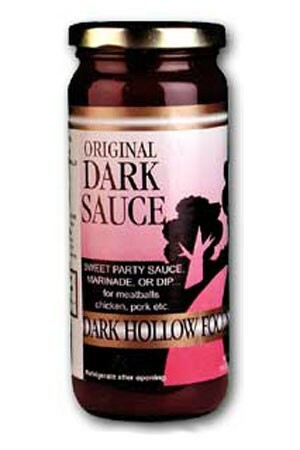 The sauces are intended to be paired with and added to a meat dish to create a hearty, satisfying meal. Simply heat the sauce and pour it over chicken, pasta, or anything you’d like. The Medium Peppers With Mushrooms is fantastic over spaghetti and grilled chicken … give it a try! A dulcimer is not played standing up like a guitar; rather, it’s played on one’s lap. These beautiful instruments aren’t commonly found, but they’re made by artist and craftsman Robert Worth, who founded a company devoted to dulcimers called Worth Woods. Robert hand crafts dulcimers and offers them for sale at his website. For a string musician, this is a unique and wonderful gift made in West Virginia! West Virginia is a really beautiful state, a mix of mountains, gorges, bridges, rivers, and natural scenery. Many of the state’s cities are highly enjoyable places to visit for a few days or a long weekend … the people are friendly, the shops are unique, and the food is great! We especially like this print of West Virginia’s capital city, Charleston. It really captures the soul of the city and the natural beauty which surrounds it. You can buy many of Mary’s prints in various sizes directly at her website … a fantastic souvenir or memory of The Mountain State! Her work is available at selected museum stores, art galleries, and artisan shops nationally (there’s a current list at her website) and you can also buy directly at WenWeave.com. A wonderful hand created gift from beautiful West Virginia! You can contact the facility via the Tamarack website and their staff can tell you more about their operation and goods for sale. 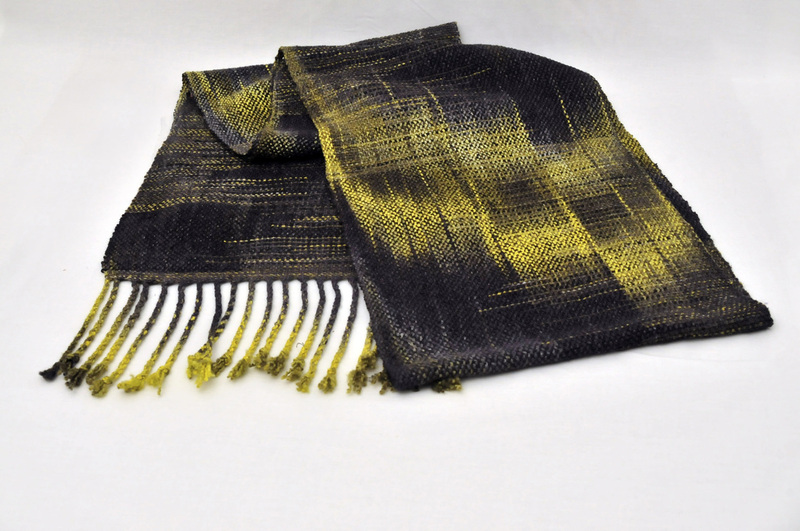 The related Tamarack Foundation has been instrumental in raising the profile of numerous artists from the state and serves as a model for like minded initiatives across the country. Check them out! All of the produce used to make the salsa is from local West Virginia farmers, making a gift of Blue Smoke Salsa a real taste of The Mountain State! 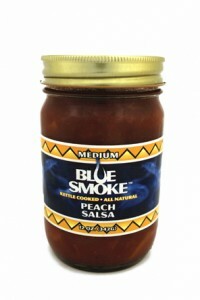 Blue Smoke also makes apple butter, baked goods, jams, and mustard in addition to various heat levels of salsa. Try it with chips, or it’s really good mixed into an omelet! Pepperoni Rolls – A West Virginia Staple! 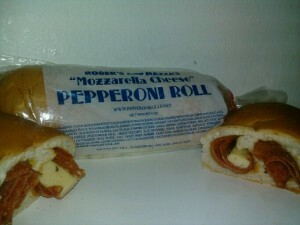 Pepperoni rolls were a staple of local miners as a handy lunch or snack they could easily carry down into the mine. Basically, a pepperoni roll is a soft baked roll or turnover with cheese and slices of pepperoni or a pepperoni stick inside … they come in various forms but usually look like a small submarine sandwich. 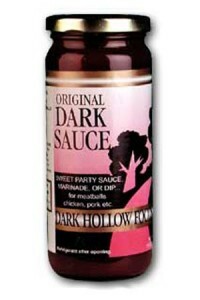 It’s called Dark Hollow Sauce … a cranberry colored sweet sauce that’s not quite a salsa, not quite a BBQ sauce, and not an Asian style sauce. Some of Uncle Bunk’s original products include a pepper sauce, sweet pickles, and a medium hot mustard relish which is nothing short of fantastic … use it in recipes or spooned over a hot dog. 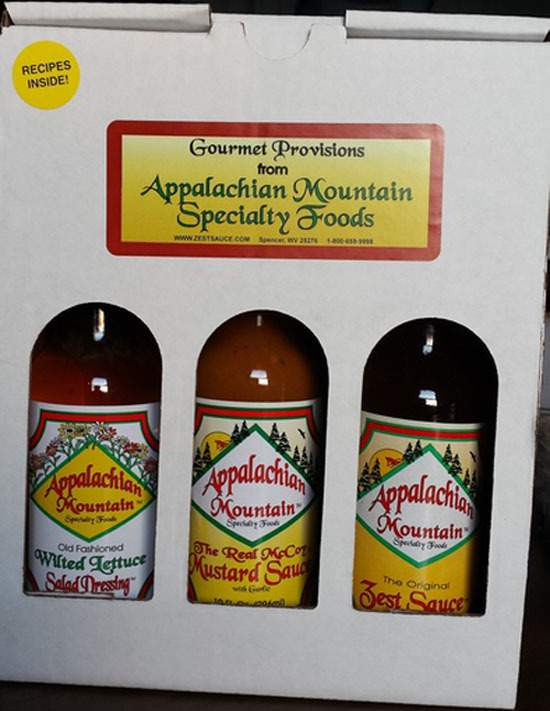 They also make spices and rubs and offer all sorts of specialty gift boxes and baskets on their site … some are shipped in wooden crates also made in The Mountain State! 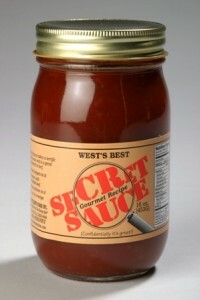 Secret Sauce has a nice onion flavor; it’s not too spicy and has a nice sweet finish. Great as a dipping sauce too! Also try some of their honey which is produced on site at the farm and related items like soap, candles, personal care products and more. See all the Thistle Dew Farm products on their website – they’ll ship all over the U.S.! West Virginia Fruit and Berry: This Bridgeport, WV operation produces a line of jams, fruit butters, and pepper jams … all made with local fruit. 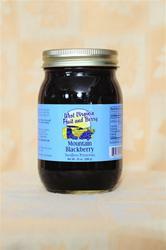 If you’re looking for a simple, no fuss West Virginia themed gift, visit the West Virginia Fruit and Berry online store.